Two fresh coats of your favorite nail polish, sealed with a clear topcoat. Skin care and cuticle care is excluded. 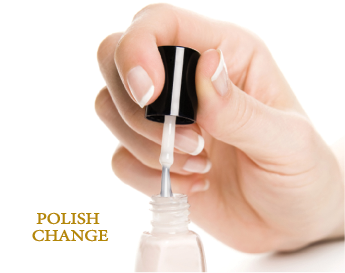 Two fresh coats of your favorite gel/shellac polish over natural nails that will last up to two weeks. Light prep work of the surface nail is necessary.